13 Submission in MMA Fans Need To See | MMA Fighting Events Videos Techniques UFC Fight Picks and News. 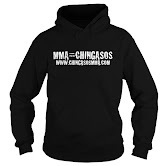 Some people like to see chingasos and KO's in MMA, and some of us MMA fans love submissions. If you're a fan of the submission, here is one of the best submission highlight videos I've seen. There are some of the more exotic submissions like the Peruvian neck tie and gogoplata in the mix. Check it out!